What a wonderful way to display your confetti! This charming Silver Confetti Pail comes complete with 2 litres of your choice of confetti (enough for around 20-24 handfuls). 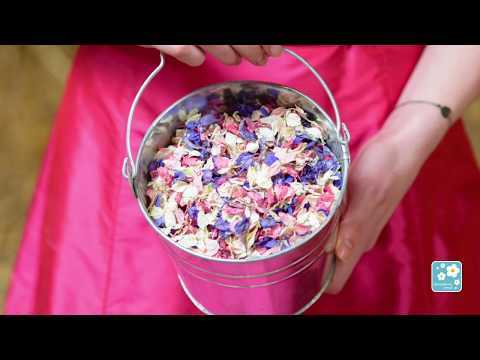 All our petals are natural, biodegradable and eco-friendly. Chic and stylish silver metal bucket measures approx 15cm in length (24cm inc handle) x 17cm in width. Your confetti will arrive in a bag measuring 25cm (height) x 20cm (width) x 7cm (depth at the bottom of the bag).